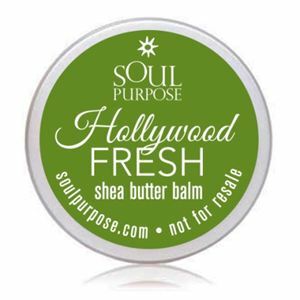 Formulated with lush moisturizing oils, shea butter, pure cane sugar, organic brown sugar and detoxifying salts this luxurious, yet healthy, blend is fortified with our exclusive antioxidant blend of green tea, Oregon grape red wine and Açái berry. 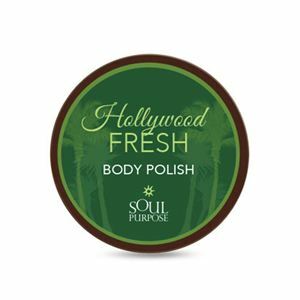 Hollywood Fresh Body Polish provides a clean urban scent that incorporates a blend of fresh and tangy notes of citrus blended with lavender, sweet spice amber and woodsy notes. 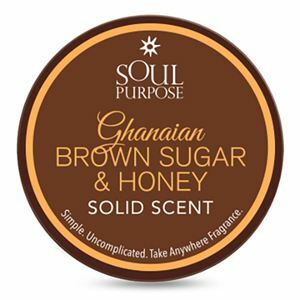 Enjoy our therapeutic creations, ideal for easing stress while exfoliating and moisturizing from head to toe, leaving skin silky smooth and glowing.